Rosa Corretti cannot forget the one unguarded night she spent with Kulal when she buried her disgrace beneath the seductive sighs of passion. Now, this hard demanding sheikh wants to control her! Rosa Corretti has been too good for too long and will not jump from one gilded cage to another – no matter how brightly it glitters! But Kulal has centuries of the desert in his blood and the more Rosa resists, the hotter it fires in his veins. As their passion burn through the tethers around his heart, will this arrogant Sheikh accept this Corretti? Zach Scott wakes from nightmares to the echo of gunfire. 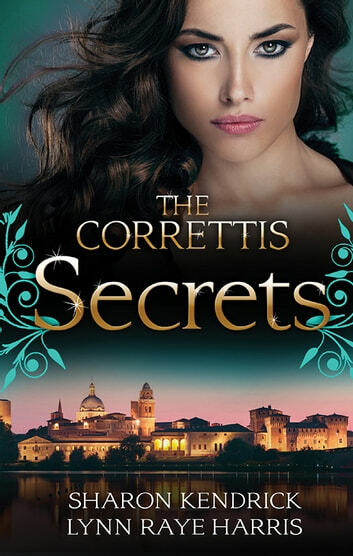 So when he stirs from a trance and finds himself not in his fighter jet but at a party, pressed up against the soft, womanly figure of Lia Corretti, he quickly rages against her sweet pity. 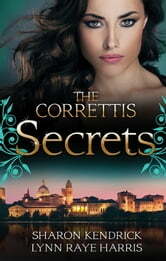 For years the forgotten Corretti has hidden her pain behind a façade. So Lia recognises the shadows in Zach's eyes. But there's nothing familiar about the hot heat of Zach as he traps her to him. Can she lower her guard long enough to let him see all of her?